If you’re serious about launching your own health club, you’re going to need some help. And that’s why this four-step guide is designed to assist you in doing so. You need to understand what is involved and how you go about achieving your goals. Check out these four steps, and apply them to your business model. You’re going to need to give some thought to the kinds of services you want your health club to offer. Now, you’re going to have quite a few options, and you should try to be as cosmopolitan as possible. 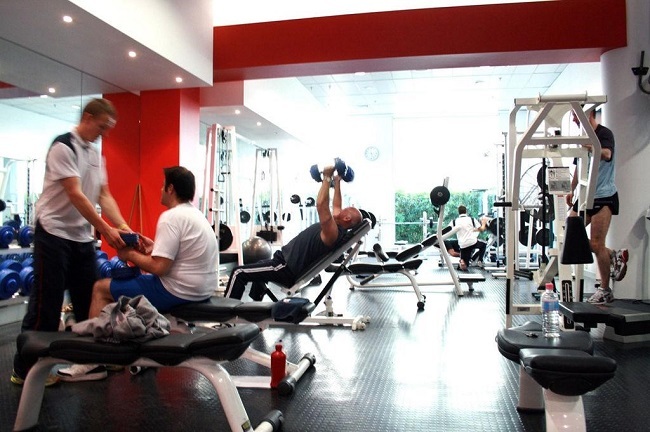 You’ll want to have a gym with all the latest gym equipment involved. It’s also important to think about spa facilities in the place. It might also be a good idea to offer classes for a variety of things such as yoga, etc. Offering the right services will keep your customers coming back for more time and again. When you think about launching your own health club, you need to think about location. This is perhaps the primary concern when it comes to your health club. You’ve got to choose the optimum location for business success. It needs to be somewhere that is accessible, and will have a huge demand for that kind of service. You also need to think about the premises. Is the place big enough for what you need? It’s got to be the right size for all areas of the club to function well. Make sure you think hard about the right sort of location and choose wisely before settling on anything. As with any sort of business endeavour, you’re going to need financial backing to fund your startup. Running a health club is not cheap. So you’ve got to ensure that you have the right financial backing to support the business. This is particularly pertinent if you’re looking to expand and become a chain of clubs. Try to bring investors on board so you have some financial clout behind you. Failing that you could always apply for a business loan. You need to remember the key to business, and that is advertising. You can have the best business model in the world, but if you don’t get the marketing right you’ll fail. So you need to dedicate plenty of time and resources to making sure you’re promoted correctly. Health club marketing is an essential part of launching your own club. You need people to know you exist. And you need to offer them incentives to use your business. You might want to think about hiring a marketing team to help you achieve this. Launching your own health club is a lot like trying to launch any startup business. There’s quite a bit of work involved in the process. You need to get specific areas exactly right to prepare for the future. Hopefully, you’ll use this four-step guide for a bit of inspiration and influence when it comes time to launch your own club.